Porsche’s long-running 911 arrived in 1964, replacing the 356. The latter’s rear-engined layout was retained, but the 911 switched to unitary construction for the body shell and dropped the 356’s VW-based suspension in favor of a more modern McPherson strut and trailing arm arrangement. 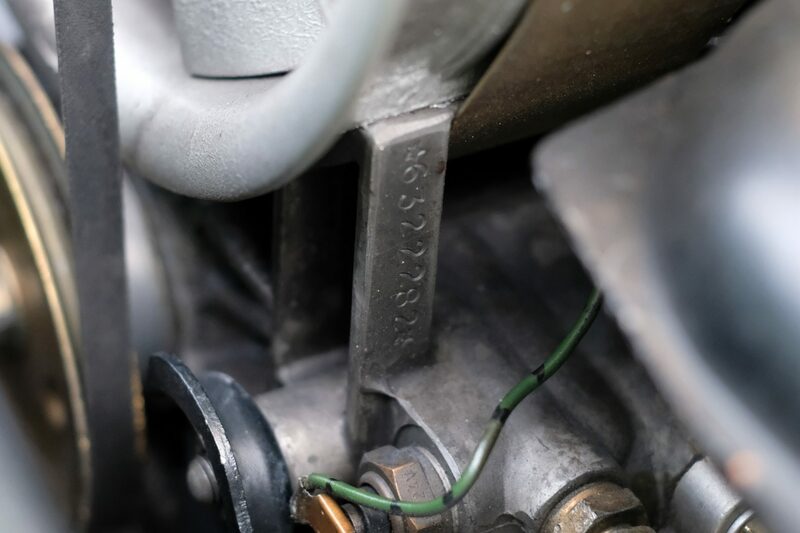 In its first incarnation, Porsche’s single-overhead-camshaft, air-cooled flat six displaced 1,991cc and produced 130bhp; progressively enlarged and developed, it would eventually grow to more than 3 liters and, in turbo-charged form, put out well over 300 horsepower. 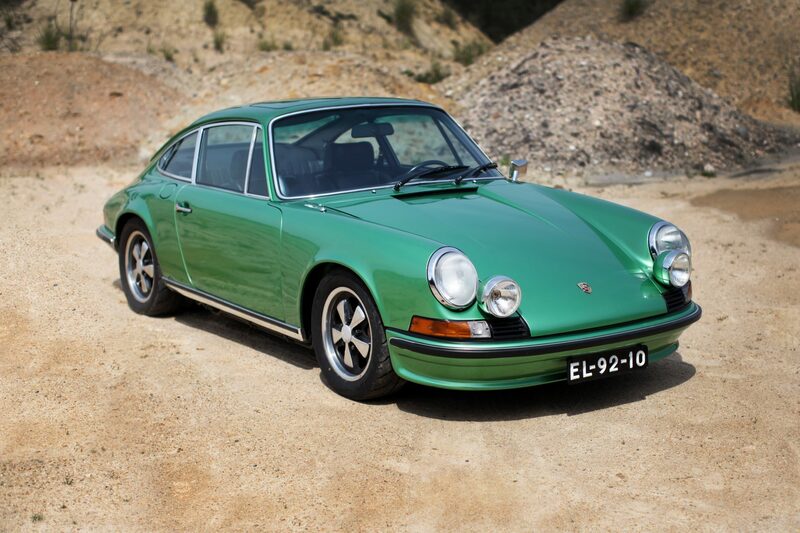 The first of countless up-grades came in 1966 with the introduction of the 911S. 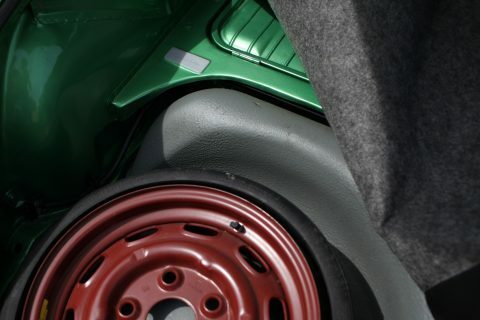 Easily distinguishable by its stylish Fuchs five-spoked alloy wheels, the ‘S’ featured a heavily revised engine producing 160bhp, the increased urge raising top speed by 10mph to 135mph. 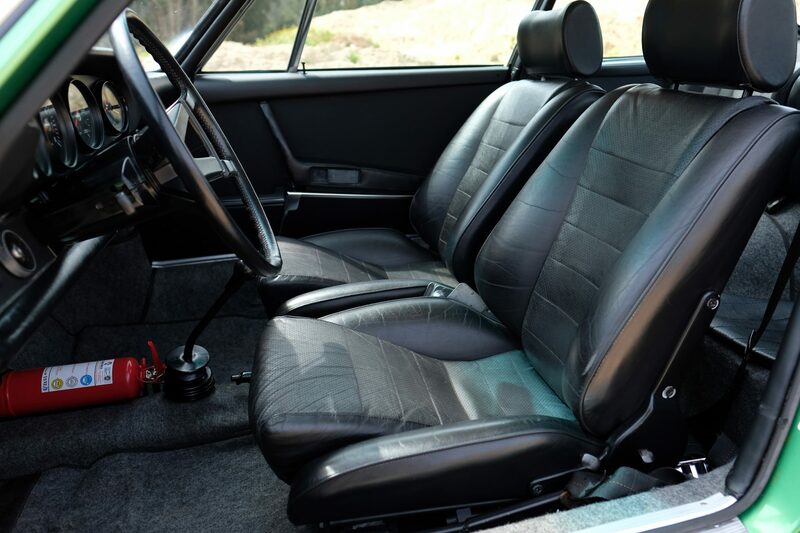 A lengthened wheelbase introduced in 1969 improved the 911’s handling, and then in 1970 the engine underwent the first of many enlargements – to 2.2 liters. 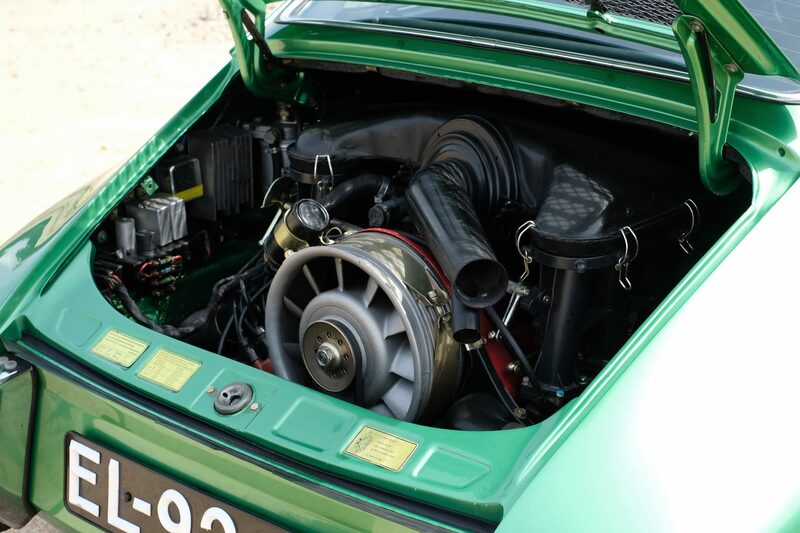 The S’s power output then was 180bhp, increasing to 190bhp with the introduction of the 2.4-liter engine for 1972. 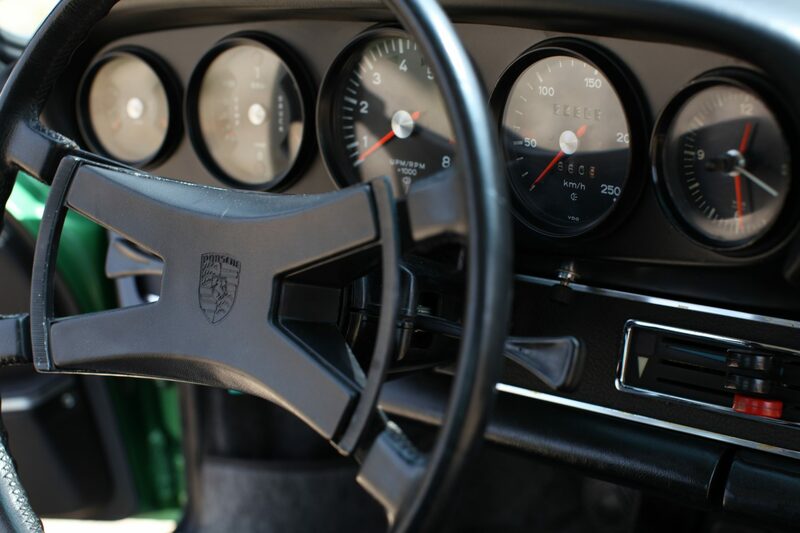 Tenacious adhesion, responsive steering, very good flexibility, superb brakes, meticulous finish and a solid, unburstable feel were just some of the virtues praised by Motormagazine in its test of a Porsche 911 in 1973. 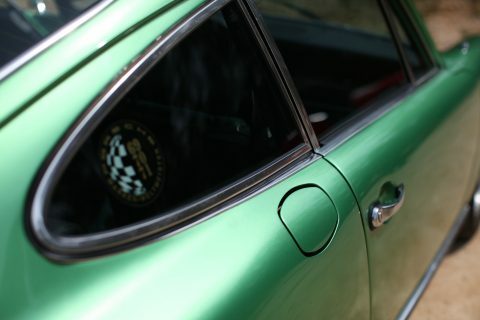 The 911 S 2.4 we are offering here is chassis 91123015256. 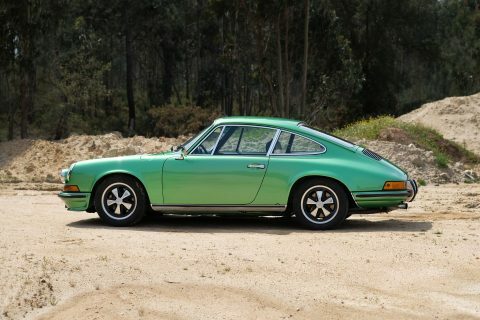 It was dispatched by the works in 1972 for the Portuguese market via the official Volkswagen / Porsche dealer of Lisbon. 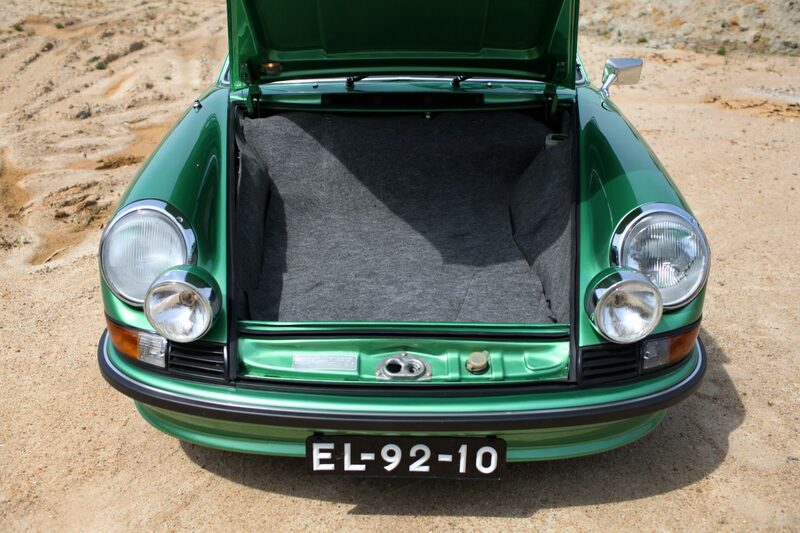 That same year the car was registered ‘EL-92-10’ on December 27th to the name of its first owner, Mrs Maria Irene Pereira Borges, also from Lisbon. 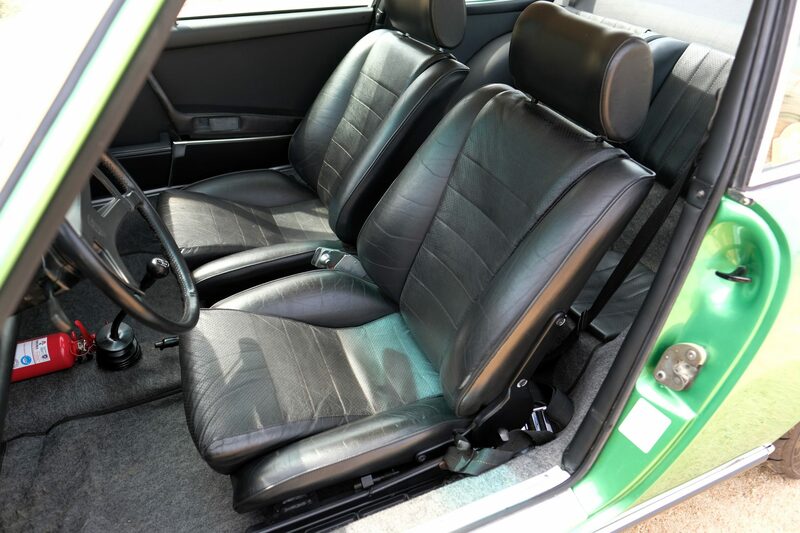 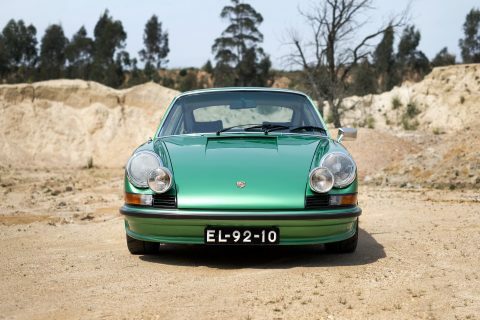 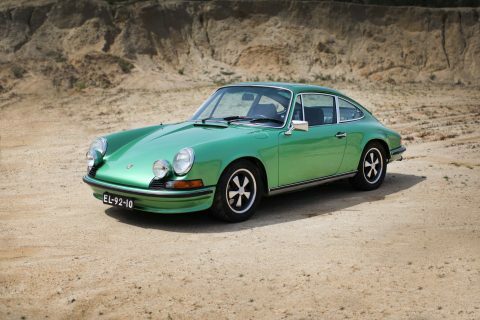 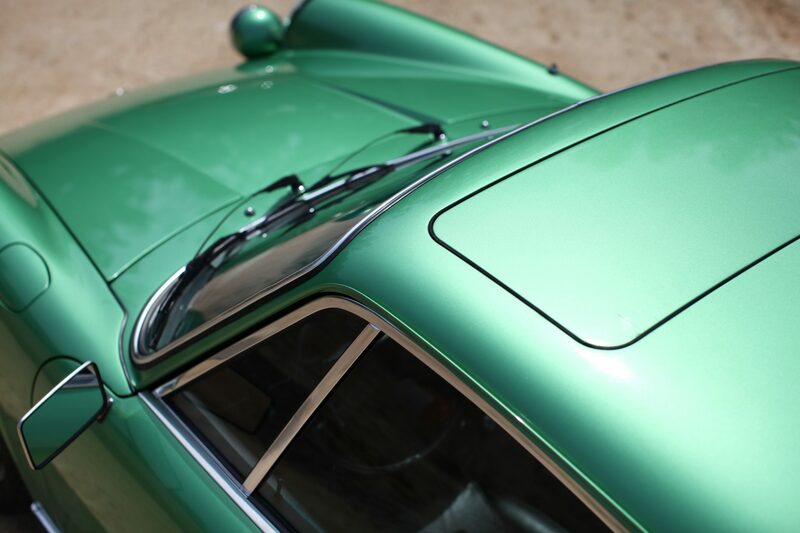 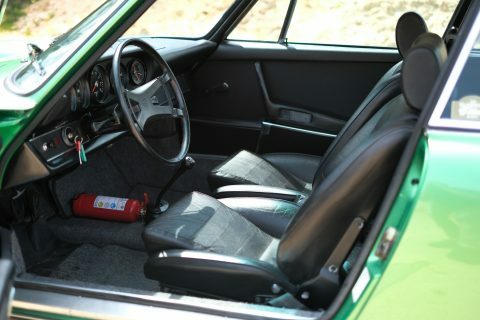 91123015256 was originally delivered in rare and very desirable Metallic Green 224 with leatherette black to the interior. 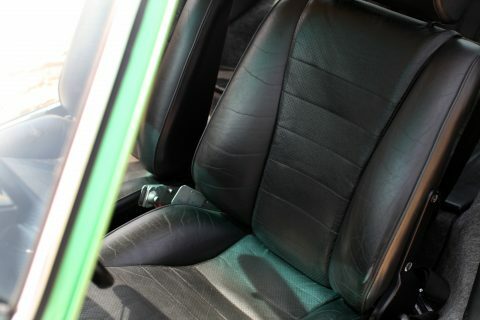 Its factory options included both front and rear Koni dampers, Blaupunkt radio, tinted glass and electric sunroof. 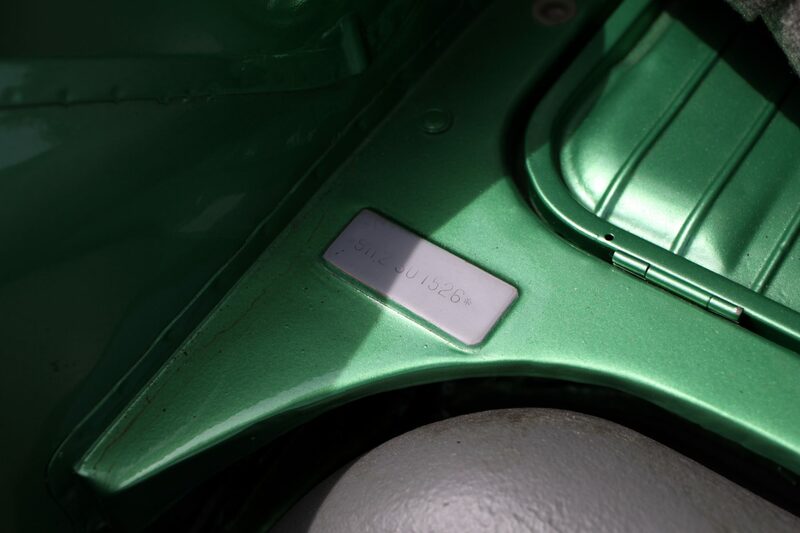 By 2002 the car was registered to the name of a company ’SOV Services de Operacao e Vigilancia SA’, also in Lisbon. More recently, 91123015256 was acquired by its current owner driven sparingly ever since. 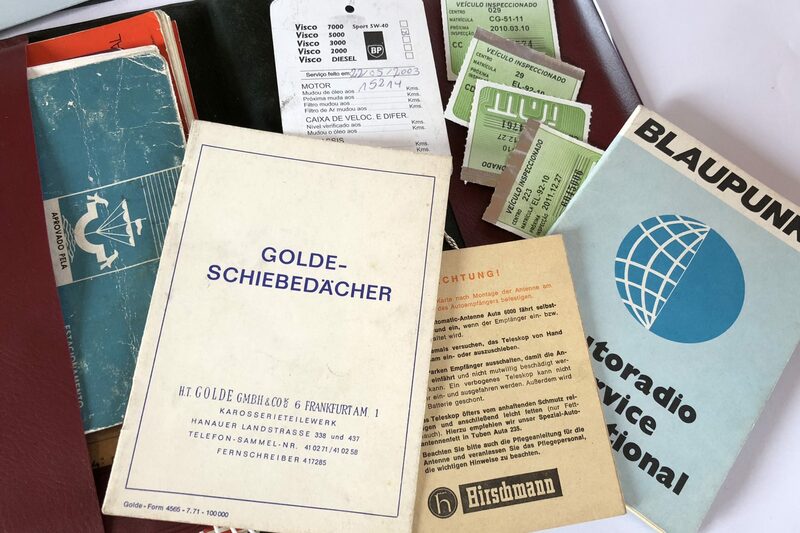 Accompanied with its original title from 1972, service book, spare keys and original booklets, this stunning example is available immediately.